33-year-old Kisha Passe and 28-year-old Josan Miller, known as the ‘Candle Wax Abusers’, met their fate on Thursday, 30 March 2017. 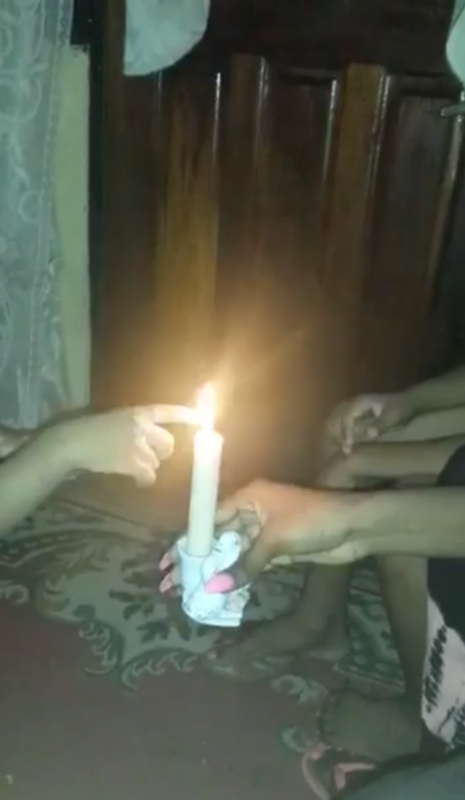 Last year, a video displaying the 2 ladies burning a 2-year-old child with a candle, and urging her to eat the candle wax, went viral. This video created a major uproar in the public, and the ladies were initially charged with wounding. The charge was then reduced to Causing Harm, to which they pleaded guilty. The duo appeared relaxed as they awaited their sentence, facing Chief Magistrate, Tamara Gill. They were represented by Attorney-at-Law Richie Maitland. Maitland pleaded for Magistrate Gill to impose a non-custodial sentence. However, due to the nature of crime, Magistrate Gill sentenced the duo to spend the next 6 months in Prison, and in addition they will undergo parental counseling which will be provided by the Ministry of Social Development. The mother of the 2-year-old toddler, was also present at the Court on Thursday afternoon, and expressed her disappointment with the sentence handed down. She believes that 6 months is not enough, and believed that her child did not get justice. However, she said she is currently undergoing counseling, and her child is doing okay for the now.